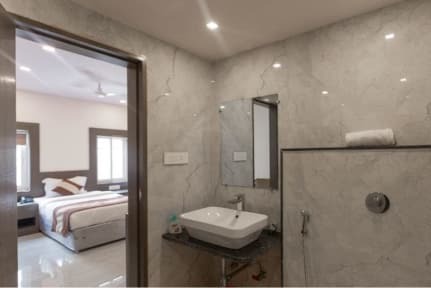 Hotel Hari Vilaas i Varanasi, Indien: Reservér nu! 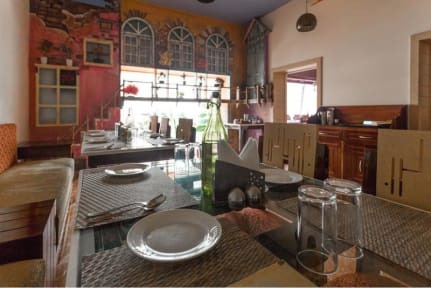 Hotel Hari Vilaas have 22 well furnished room and two restaurant. Hotel is situated at middle of the city. 1.5 km from Ganga ghat (main Ghat) and vishwnath temple. we have 3 types of room Executive room, superior Room, and Family (triple Bed) room. We are offering free WI-FI . Hotel staff is fully professional and our check-in Time is 12:00 noon and check-out time is 11:00 Am. 7. Taxes not included. 0-999, no tax; 1000 to 2499, 12% tax and 2500 to 7499, 28% tax.